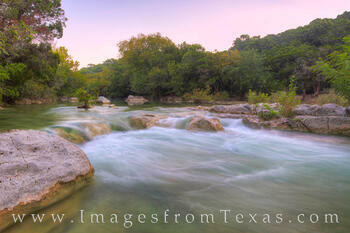 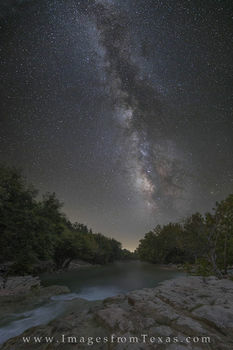 Barton Creek winds through some of the most beautiful areas just southwest of downtown Austin, Texas. 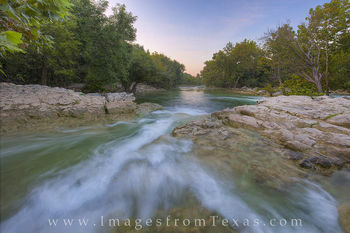 Named after William Barton, who built a house near Barton Springs in 1837, the waterway cascades over limestone rock and serves as a tributary to the Colorado River. 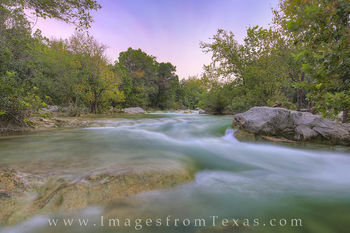 Before that, the Tonkawa and Comanche roamed the area in the 17th and 18th centuries. 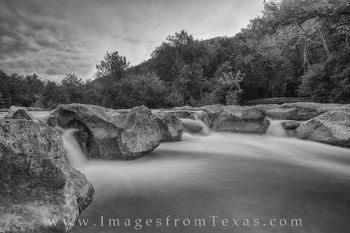 Today, with over 12 miles of hiking and biking trails, Barton Creek offers what some consider one of the top hiking trails in the state. 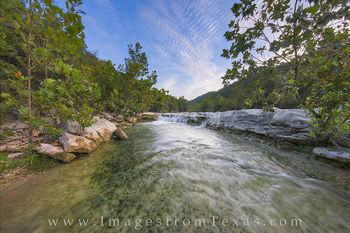 Commonly called the “Greenbelt” or the “Austin Greenbelt ,” the lush area of vegetation offers rock climbing as well as pools perfect for cooling off on a summer day. 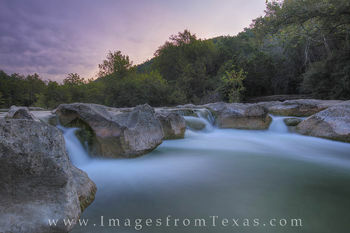 One of the Texas tales I’ve heard is that at years ago, the state of Texas wanted to lay claim to waterfalls and mountains. 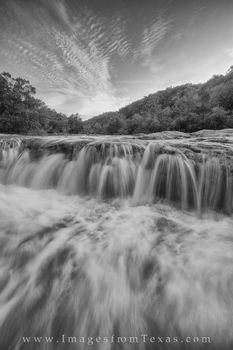 In order to do this, folks that make these decisions decided that anywhere water drops over 4 feet would constitute a waterfall, and any rise over 4,000 feet would qualify as a mountain. 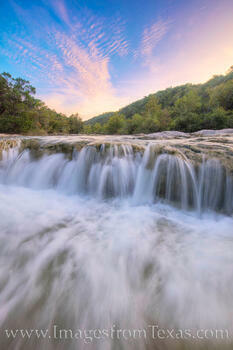 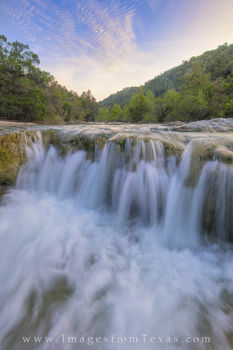 With these criteria in place, the Barton Creek Greenbelt offers several nice waterfalls – Twin Falls and Sculpture Falls. 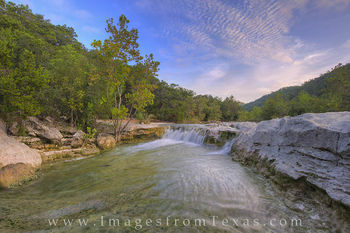 Below each of these cascades are nice pools for swimming. 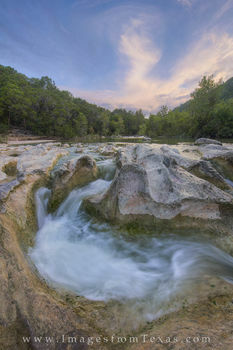 The main trail of this preserve runs for over 7 miles. 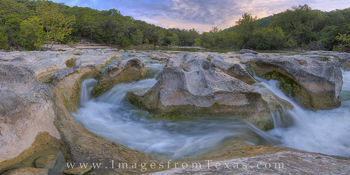 Several access points are located around the 12+ miles of trails. 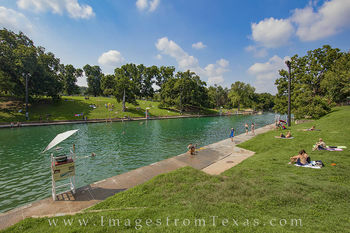 On weekends in the summer, the parking areas can be crowded or completely full. 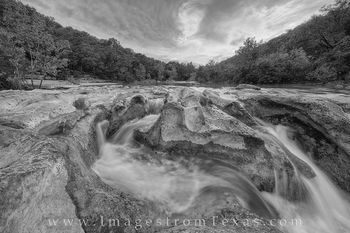 The images and prints you’ll find in this gallery were usually taken at sunrise, thus avoiding this congestion. 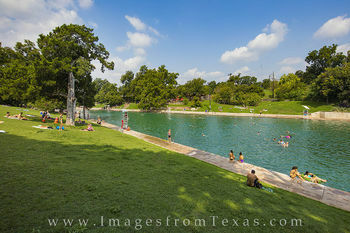 Closer to Austin, Barton Springs Pool is an area of the creek that stays at a constant 68 degrees year round. 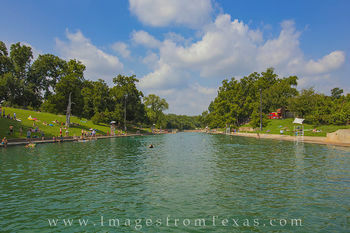 Fed by underground springs, this swimming area offers both shallow areas for younger folks to wade and play, as well as deeper areas for swimming and diving. 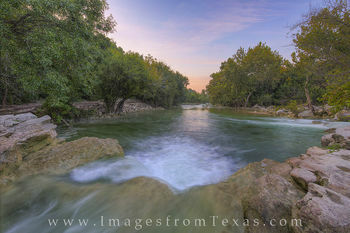 There is a fee, but for locals it is a minimal amount. 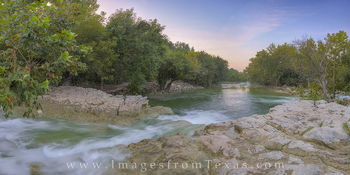 Just a little further east, and with the Austin skyline rising in the distance, Barton Creek joins the Colorado River as part of Lady Bird Lake. 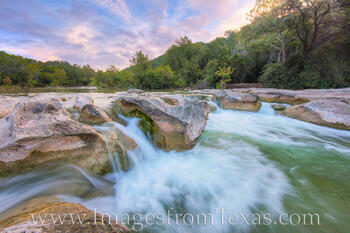 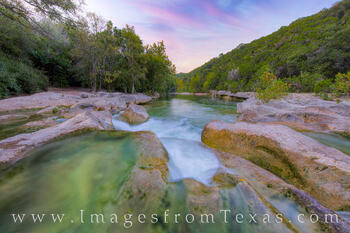 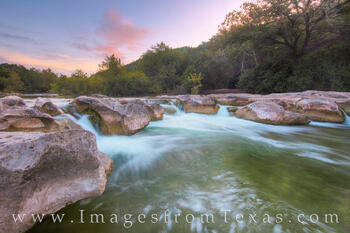 If you have any questions about these photographs from Barton Creek, please do not hesitate to contact me.